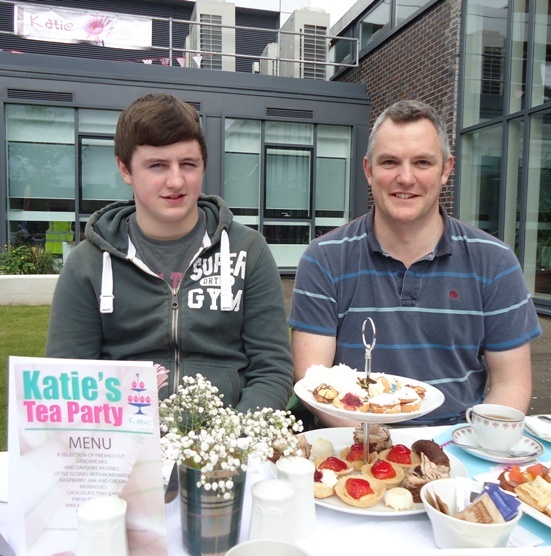 Students and Staff at Borders College served up a superb tea party last Monday. 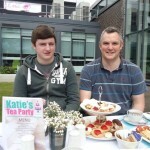 The weather held out, allowing guests to enjoy an alfresco cuppa in the college quadrangle. 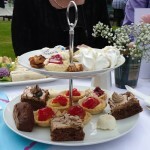 As well as sandwiches and cakes, the students were selling cupcakes and fudge. Those sales, combined with tickets and raffle, totalled £439. Ann and I would like to thank everyone involved in making the event so successful- THANKS! Vintage Tractor Rally hauls in £2,210! Steve Hayden, of Hayden’s Bar, Pomeroy, organises an annual vintage tractor rally on the Sunday of the first May Bank Holiday, with proceeds from entries going to charity. Steve heard about Katie’s Trust through one of his friends and asked if he could donate the money from the 2013 Rally to the Trust. The weekend was a great success and raised £2,210, plus a further £15 that came in from the ice-cream van! Many thanks to Steve, all the tractor drivers and all their supporters.